The news has been booming about it, the coming spring and summer seasons are going to be brutal if you have allergies. With how high the winds have been, there is no shortage of pollen, cotton, and plenty of other allergens floating through the air. If you’ve fallen victim to the scratchy throats and watery eyes, then you are more than ready to figure out what you can do to reduce these terrible symptoms. Here are a few of the things that you can do with your HVAC system to create a sanctuary of your home. 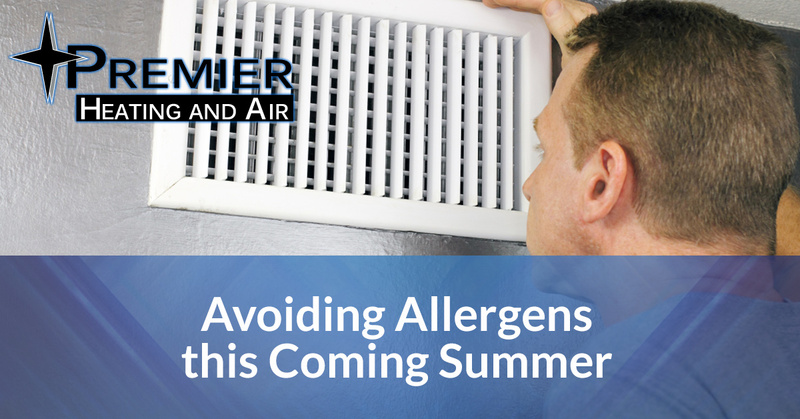 This is one of the most important things that you can do to keep the air in your house clean, but it’s even more important that you do it when allergies are high. Cleaning this dress often will reduce the number of allergens that make their way from the outside world, into your HVAC unit and through your filter. If they aren’t clean then your unit will continue to push cool air through that dirty filter and wind up pushing allergens that your filter has caught, through. This is something that can be avoided by simply cleaning out your filter, and since they’re pretty inexpensive, it isn’t difficult to do so every month. Before you go trying to check these on your own, this is a task that your air conditioning service company can take care of for you. This isn’t a service that needs to happen every month or even every other month, but you’d be very surprised to hear what builds up inside of your air ducts. Cleaning them out doesn’t take long, but it gives us time to remove the dust that builds up while also sealing the places that need to be fixed or replaced, so that the air tight seal remains and keeps your air nice and clean. If you are ready to make your home a sanctuary this allergy season, then it’s time for you to call Premier Heating and Air. We provide the greater Denver area with everything that they need to have a home that they’re comfortable in. Call our team today!